Usually we tend to be in a rush and try to get as much as possible from the outside. By acting this way we lose a connection with that which is inside us. Yoga practice does not require us to give up the outside world and the material manifestations of the world. Yoga teaching occur through the purification of body and mind, by establishing oneself in the knowing of the spirit. Yoga practice takes us back to ourselves and helps us to rediscover the wisdom, which exists in us. There is no one, who would start practicing yoga totally from the ground zero. It is our karmic experience from the previous lives that brings us to yoga teachings. After returning from the Himalayas, I would like to share my experience and considerations from my last Tyrtha Yatra with You. Yatra is a journey into ourselves, into our true “Self”. Tyrtha means visiting sacred places and a practice of self-purification. Tyrtha is a sacred place, where the mind is cleansed from the untrue intentions and desires. The practice of mind purification occurs if a person maintains concentration and focus on the true “Self”. For this to happen, it is necessary to practice vairagya – non-attachment and renunciation of self-judgment. When vairagya completely fills up a practitioner, Tyrtha becomes tapas, or asceticism, that opens up the knowing of one’s true self. For the practice of Tyrtha Yatra to be beneficial, one must be patient, determined and accepting of all kinds of opposition and difficult psychological states that arise. A practitioner should not give into impressions during Tyrtha Yatra, and control the states of his/her mind the whole time, clearly understanding the goal of the journey. Tyrtha Yatra is a journey back home that takes us back to ourselves. During Tyrtha Yatra I was observing disciples’ states the whole time: fears, anger, doubts that distract from the goal, wishes, thoughts about betrayal, thoughts about how everything could be so much better than it actually is, and the constant inclination to make judgments. All these states are obstructions of the mind that rise up from person’s depths to the surface during Tyrtha Yatra. Disciples’ mental states required me to be in strict samyama, particularly aware, focused and constantly concentrated. Being aware of my own feelings and states of mind, I was able to remain detached from and not identify with disciples’ ever changing, unstable states of mind. This allowed me to remain an observer of disciples’ transformation. The state of Sat Chit Ananda and a constant gratefulness to my own Guru did not allow me to lose the connection to the inner Sadhguru. During Tyrtha Yatra the real yoga teaching took place, the teaching that was not easy to accept. Humility and loyalty occur, acceptance is developed and the knowing is revealed only through sadhana. In my opinion, those, who were with me, have established themselves in the realization that the true yoga teaching comes not through ancient texts, asanas or some other practices, but is passed on by a Guru. Such yoga teaching is real, useful and powerful, whereas in all other cases the knowing is useless and can be harmful. I was witnessing how my disciples, having refused all fake desires and all the mind distracting attachments, followed me and pursued Adi Nath Shiva’s blessing, which gifts us with the realization of one’s true nature. So what have we brought back from Himalayas? I think, we all have been convinced that changing others is useless work. It is only possible to change ourselves, our own minds and reactions. By observing and changing ourselves, we develop the right understanding towards others. Finally, we establish a realization that only the interpretations of our own mind make us suffer or be excessively or forcefully joyful. By working on our mind, controlling it, we get an insight of how everything is connected. In fact, we begin to understand that trees, people, mountains, sky and everything that we see is Prana, which constantly moves and changes. Therefore, many events occur in life, but only our state of mind and awareness determine how they affect us. I hope that after Tyrtha Yatra we have learned to be more understanding, became calmer and resistant to emotional states, and today we are able to see a clearer view of our lives. This Tyrtha Yatra with Guru was a tough sadhana, which showed to every single one of us that the only honorable use of one’s body is a pursuit of wisdom and perfection of consciousness. 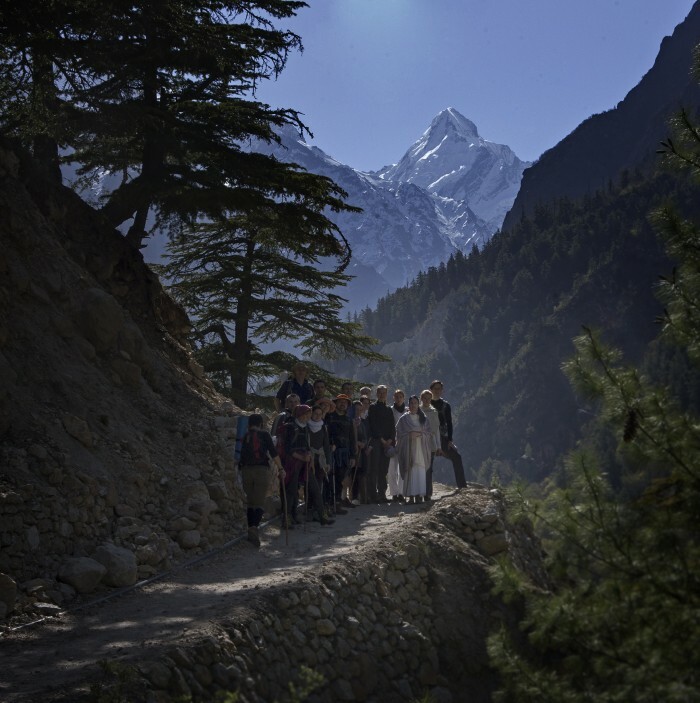 I am leaving with my disciples for Tyrtha Yatra, a journey through Himalayas in India. During this yatra we will be meditating (dhyana), aiming for the state of focused attention. Focus of attention is a very important part of yoga practice. I think that everyone would find it useful to realize what attention is and how it occurs during meditation. This time I would like to discuss the concept of attention. Let’s ponder – what is a state of calmness when there is chaos around us, what does it mean to live in a city surrounded by casual turmoil and still remain in harmony with nature, and in what way it is possible not to lose ourselves? If we want to find answers to these questions, we have to understand the importance of attention. Attention is a specific state of focused consciousness, which cannot be compared to concentration. During meditation, please feel the subtle difference between attention and concentration. For example, I voluntarily tell my consciousness to observe important things, or, I voluntarily tell myself that I must focus my attention on something important, or, by using will power, I regulate my thoughts, making myself concentrate on something important, pushing away all outside thoughts. Do you think these or similar voluntary actions can develop focus of consciousness and the state of attention? By contemplating on our own behavior we realize that voluntary behavior and forceful concentration is not the state of focused attention. Why? What happens when we consciously and voluntarily direct our mental activity to a meditation object? When the mental activity is being forcefully directed to an object, resistance takes place in our consciousness because we do not allow other thoughts to come up. Obviously, when there is resistance in the consciousness, a long-term state of focused attention is impossible. Focus of attention appears by itself, spontaneously, and this process does not require any efforts. Therefore, we may sum up by saying that a voluntary process of focusing is a practice of concentration. Concentration is short-term voluntary state of focusing the consciousness on an object, whereas attention is a long-term state of focused consciousness, which appears spontaneously, by itself. It is impossible to develop focus of attention through efforts, beliefs, comparisons, assessments, achievements or punishing yourself. All these are forms of force, arising from fear. Fear is the reason why attention is not focused. Fear exists as long as there is disappointment and a need to be someone, become someone or achieve something. By using will power we might learn to concentrate, but it is impossible to learn to focus our attention through voluntary behavior. We cannot learn to be free or get rid of fears through forceful voluntary behavior either. The state of focused attention is like the state of love, which appears spontaneously, when envy, conceit and selfishness disappear. So, if seeking perfection, it is important to work on developing focus of attention rather than concentration. 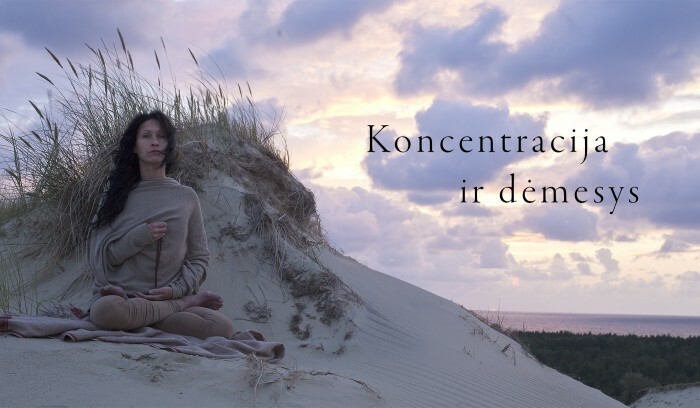 During concentration, the consciousness is being focused on a meditation object using voluntary efforts but this process takes place in a short period of time. Whereas the state of focused attention manifests as a spontaneous process, not limited by time. I sincerely wish everyone to meditate on the state of focused attention.